UCI's Paul Merage School of Business combines the academic strengths and best traditions of the University of California with the cutting-edge, entrepreneurial spirit of Orange County in the heart of America's Tech Coast. Four dynamic MBA programs – plus Ph.D., undergraduate business and several specialized master's degrees – deliver the school's thematic approach to business education: sustainable growth through strategic innovation. The Merage School consistently ranks among the top 10 percent of accredited business schools in the nation and boasts a world-class faculty, strong alumni network, and close individual and corporate relationships. The school enrolls 1,200 undergraduate and graduate students annually. The Merage School graduates leaders with the exceptional ability to help grow their organizations through targeted, inventive changes. Our curriculum is supported by a highly personalized learning environment that allows students to engage in analytical decision-making and collaborative execution of best practices. In-class and on-site experiences with real-world business issues give our students the edge needed to help companies compete in today's global economy. The school's pioneering curriculum and expert faculty attract the best and brightest students. Companies like Allergan, IBM, The Boeing Co., Mattel, HBO, Disney, Ingram Micro, Deloitte Consulting and 20th Century Fox recognize the quality of our MBAs and regularly recruit our graduates. Additionally, our undergraduate program has quickly become one of the most rigorous and competitive programs in California. Seven Centers of Excellence and Executive Education programs provide numerous opportunities for students and business community members to enhance their educational experience as well as broaden and update their professional expertise. 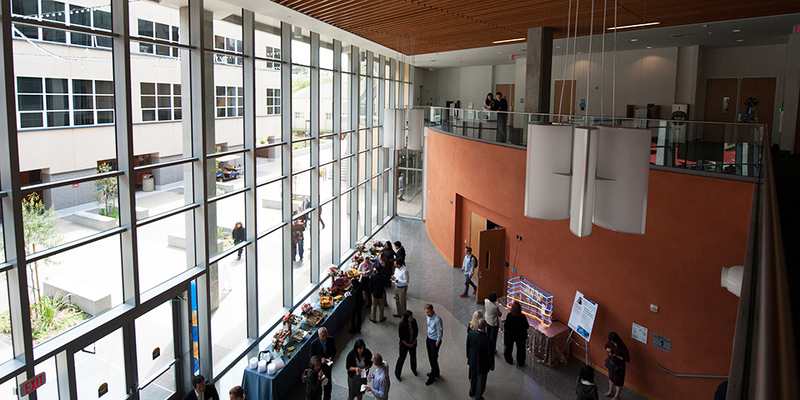 The Merage School has grown to encompass a two-building business school campus at UCI. Our new state-of-the-art 78,000 square foot building is the premier hub for business in Orange County and will take the school to new heights in student learning opportunities, faculty research, and community engagement. At the Merage School, we devote our resources and research to solving societal issues. Together with our alumni and business community partners, we are proud to launch the next generation of professionals who will have a positive impact in business as well as in society as a whole. Eric R. Spangenberg was appointed dean of The Paul Merage School of Business at UCI on June 1, 2014. Professor Spangenberg received his Ph.D. from the University of Washington in 1990 and went on to join the faculty at the Carson College of Business at Washington State University. He was promoted to associate professor in 1997 and named the Maughmer Freedom Philosophy Chair and professor of marketing at Washington State University in 2003. Prior to joining UCI, Spangenberg served as associate dean for Faculty Affairs and Research from 2002 to 2005 and then as dean of the Carson College of Business from 2005 to 2014. His key accomplishments include establishing entrepreneurial initiatives at WSU now generating multimillion-dollar revenue streams. In addition, Spangenberg oversaw historic increases in MBA and Ph.D. enrollments while strategically revising curricula. He led a team in developing and launching online MBA programs that were ranked No. 1 in 2013 by U.S. News & World Report and online undergraduate degree programs grew by more than 50 percent during his tenure. Additionally, the Carson College's international business programs were consistently ranked by U.S. News & World Report in the top 25 during Spangenberg's deanship. Dean Spangenberg is a recognized international scholar and committed fundraiser who served in leadership positions on faculty senate and faculty affairs committees before entering administration and is an active volunteer for the Association to Advance Collegiate Schools of Business, the largest and most prestigious international accrediting body for business schools. Renowned for his work on the effects of olfactory and musical cues in the retail environment and the effects of self-prediction on people's behavior, his research has been published in the field's top journals. His work has been featured in numerous national and international media outlets including The Economist, Fast Company, The New York Times, The Wall Street Journal and The Washington Post, BBC, CBS, Yahoo News, Salon and Boing. He also has been consulted by similar outlets as an expert in online education. Spangenberg has authored and co-authored more than 40 journal articles, book chapters and other published material focusing on his key research areas, which include marketing and consumer psychology topics such as: question-behavior effects, psychometrics, consumer skepticism toward advertising, environmental psychology and brand extended self-construal. He also is on the editorial review board for the Journal of Consumer Psychology and maintains professional affiliations with the Association for Consumer Research, the American Psychological Association, and the Society for Consumer Psychology. The Paul Merage School of Business consistently ranks among the top accredited business schools in the U.S. Additionally, the school ranks 5th in the U.S. for students employed within 90 days of graduation (at 94 percent) and is the No. 1 school in the nation for percentage of women faculty and students. Also, Financial Times Global MBA announced in its 2015 rankings report that the full-time MBA program ranked 21st in the U.S. and 7th among public university business schools. A selection of recent rankings is available on the school website. Release: Will you cast a presidential ballot on Nov. 8?